Rocket Matter Knowledge Base TasksWhat is a task used for? 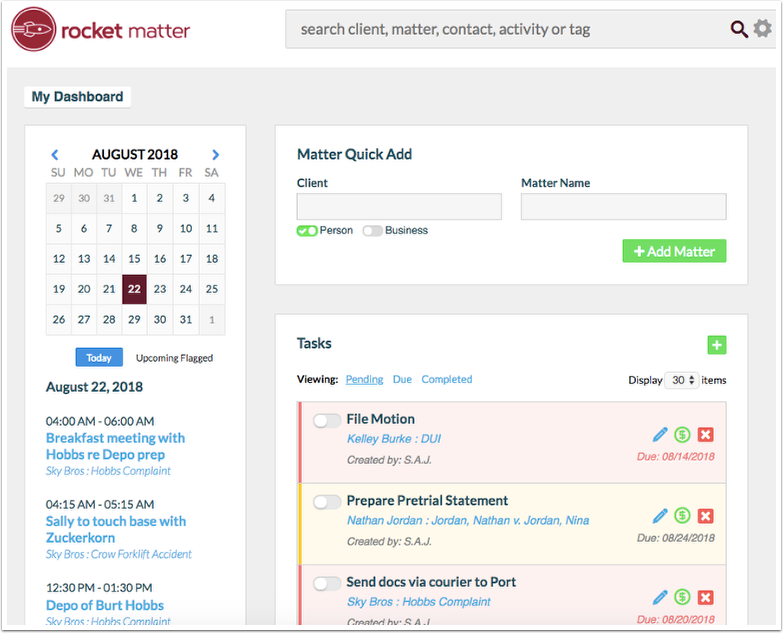 Keep your to-do list organized and your practice on track with Rocket Matter’s powerful tasks. Your daily tasks will be displayed on your main dashboard when you login! You can easily create, track, update and assign tasks to others. You can assign due dates and stay on top of them as deadlines approach. Each task can be associated with a matter. At a glance view the task report that displays pending tasks with the due dates for all users. Prev: How to add/removed/rename tags?